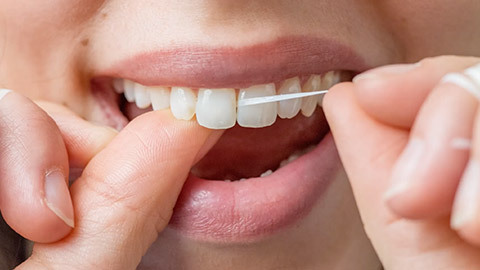 Daily brushing and flossing is essential to good oral hygiene. However, regular check-ups and cleaning with one of our highly skilled hygienists will help ensure your smile is healthy and bright for a long, long time. These hygiene visits provide a deep cleaning you can't get at home, and allow our experts to assess potential problems and treat them before they develop. We can also provide you with the information that you need to keep your teeth clean at home. We can advise you on problem areas or areas of plaque buildup. Regular check-ups also allow us to keep an eye on the health of your teeth and gums and identify any changes that may signify a potential problem. Early detection for many oral health problems is a vital aspect in ensuring that you receive treatment before things start to get painful or have a negative impact on your overall health. We can also screen for oral cancer. Oral cancer presents itself as strange lumps or cuts in the mouth. Our skilled hygienists will perform a visual screening for oral cancer each time you visit for your regular check-up. If you need more information about Oral Hygiene/Cleaning in SE Calgary, contact us today.